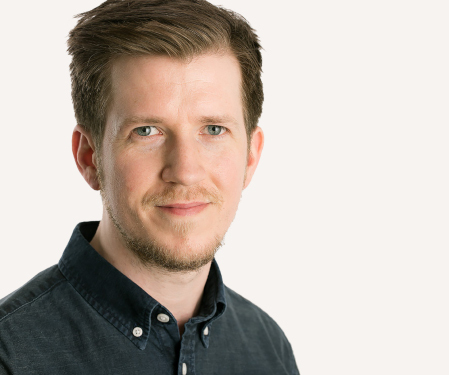 The head of the DNRF’s Center for Materials Crystallography (CMC), Bo Brummerstedt Iversen, will be in charge of the first Danish ESS research environment at Aarhus University. The group will study future materials. 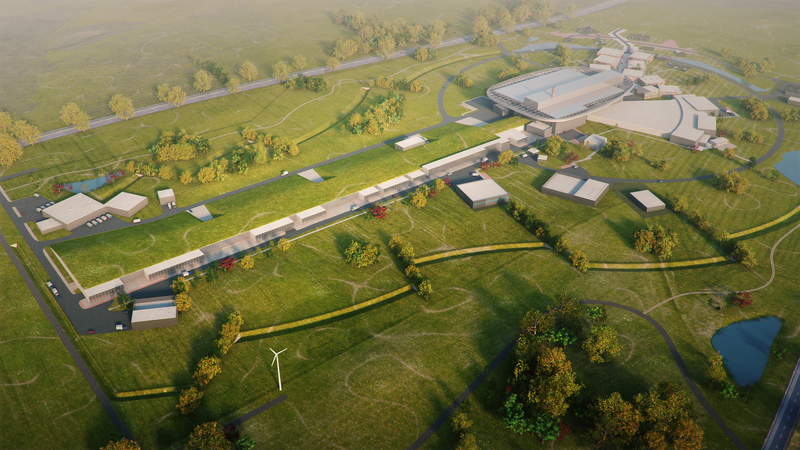 Professor Bo Brummerstedt Iversen, who is the head of the DNRF research center CMC, has been appointed to lead the first Danish research environment for the particle accelerator European Spallation Source (ESS) in Lund, Sweden. 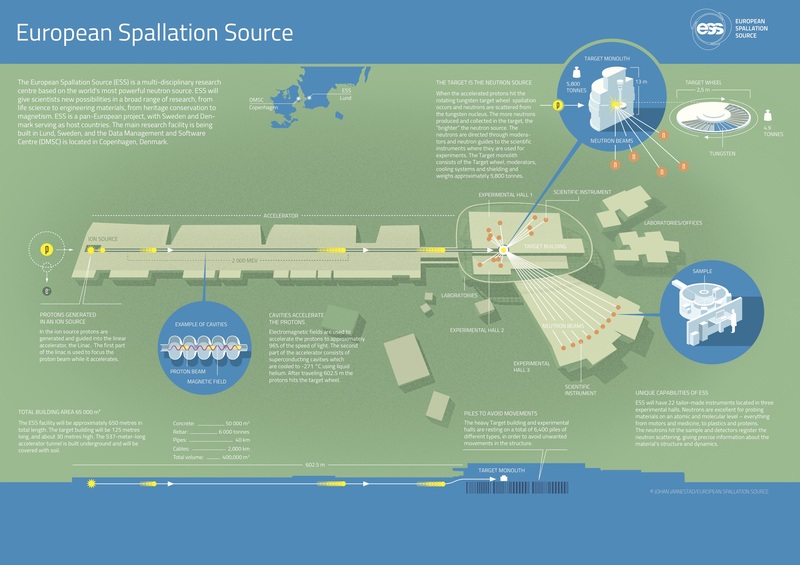 ESS is owned by a union of 15 European countries and will be the world’s largest and most advanced facility for neutron research. In Lund, high-tech research facilities are being constructed, and they should be ready for use in 2023. From 2014 to 2022, Denmark will be investing around 2 billion DKK in the research facility, and the Ministry of Higher Education and Science has now appointed a ESS-research group led by Brummerstedt Iversen and Aarhus University. The research group will be the first to focus on deploying Denmark’s investment in ESS. The first Danish ESS research initiative is named SMART – Structure of Materials in Real Time — and a grant of 34.5 million DKK goes with its establishment. The goal is to become an international leader in the field of material research, an interdisciplinary research field that encompasses physics, chemistry, geoscience, nanoscience, and engineering. Material research aims to resolve some of the world’s biggest challenges with regard to energy, climate, food, and health through the development of new, advanced materials. Innovative materials are central to establishing sustainability in a number of different situations, and therefore, SMART will use the new technological capabilities in material research that, in the future, will be accessible with the advanced neutron radiation instruments at ESS. So far, one of the challenges is that the development of new energy technologies demand that one observes the materials on an atomic level in real time, which enables the researchers to see the insides of a battery, for example, when it is functioning. “Here, ESS plays an incredible role for us, and SMART will be the pioneer in a scientific paradigm shift towards studies of real materials in real time under real conditions. This can lead to basic research discoveries of entirely new physical and chemical phenomena but, at the same time, also drastically reduce the amount of time it takes to develop materials for industrial use. 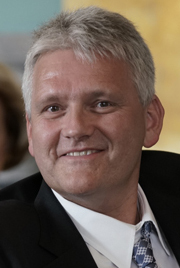 With this grant, Danish science can contribute to the increment of value through scientific acknowledgments, which is one of the main purposes behind the establishment of ESS,” said Brummerstedt Iversen. “It will be groundbreaking research, where we are on the edge of the known and on the lookout for brand new materials. It serves as a really good example of the fact that basic research, where we take chances and do not know the end goal, is a precondition to be able to solve big societal challenges. In the long term, this will give our companies a head start when we have the first scientific breakthroughs. It is going to be extremely exciting to follow the researchers’ work in the future,” said Ahlers. The establishment of ESS innovative research groups is part of the government’s political research and innovation strategy and is one of the main ways that can help Denmark build strategic value for the country’s research and business. Read more about ESS from Aarhus University here. More information about the research facility can be found on ESS here. Further information about ESS can be found at the Ministry of Higher Education and Science here (in Danish).